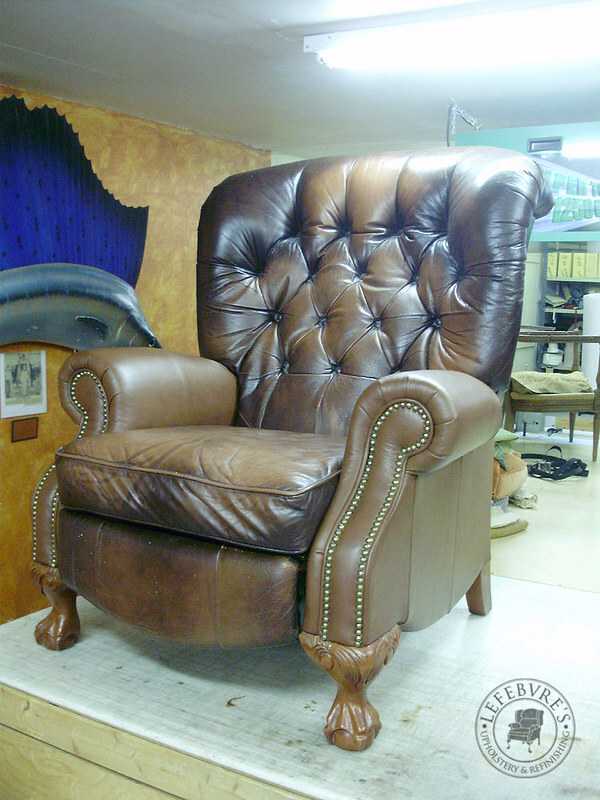 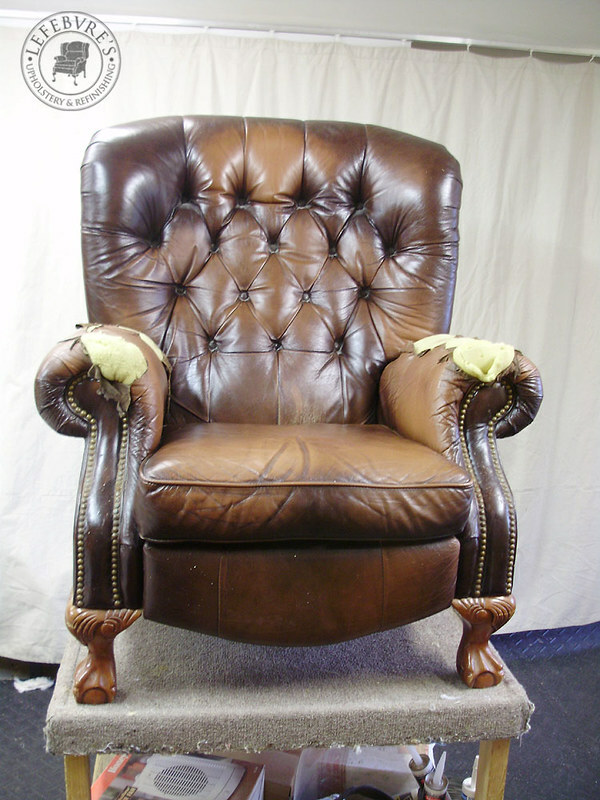 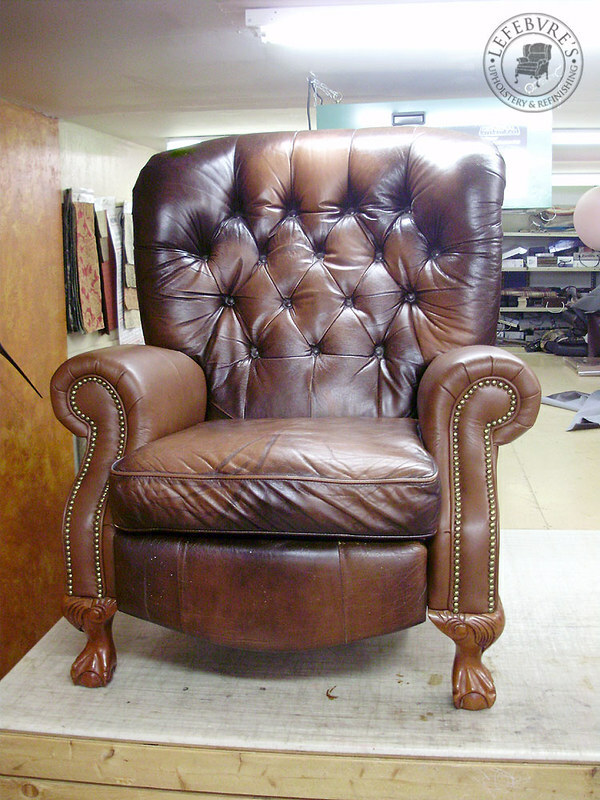 Here is a large leather recliner that was in overall good shape, except for the arms. 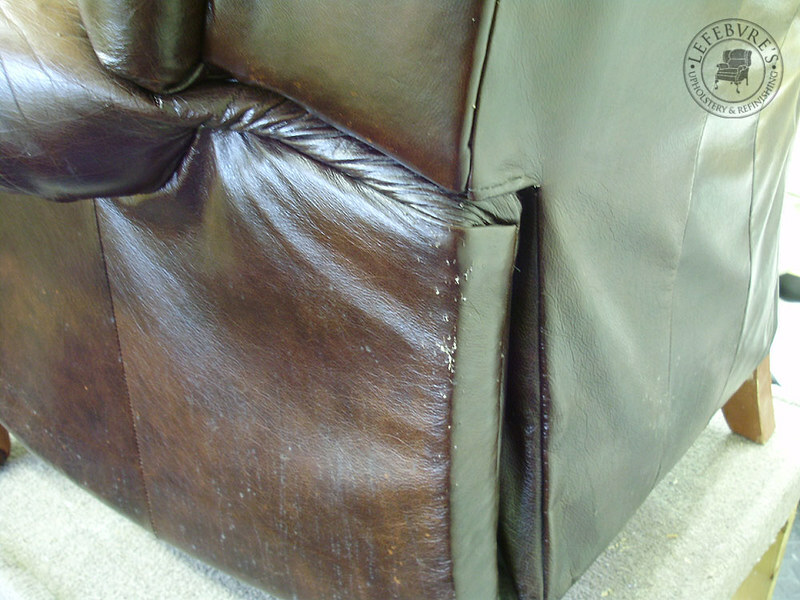 The sides also had a bit of pet damage. 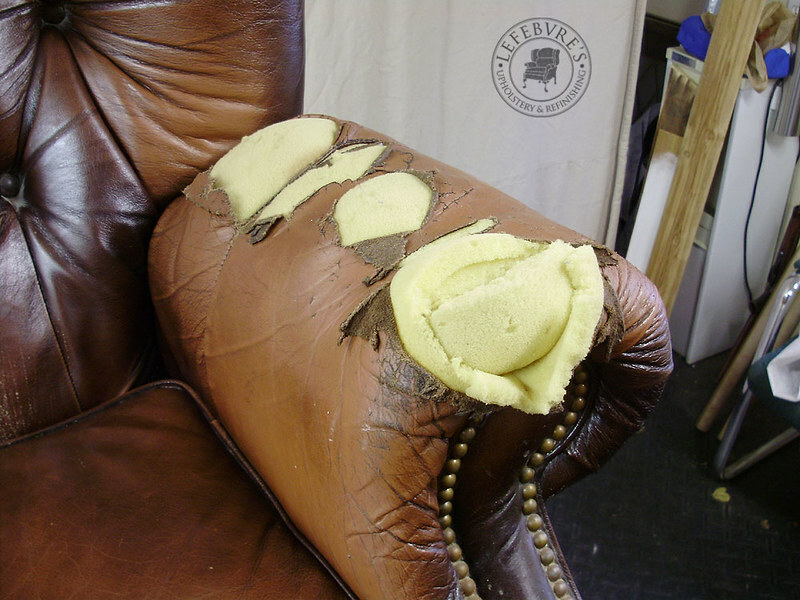 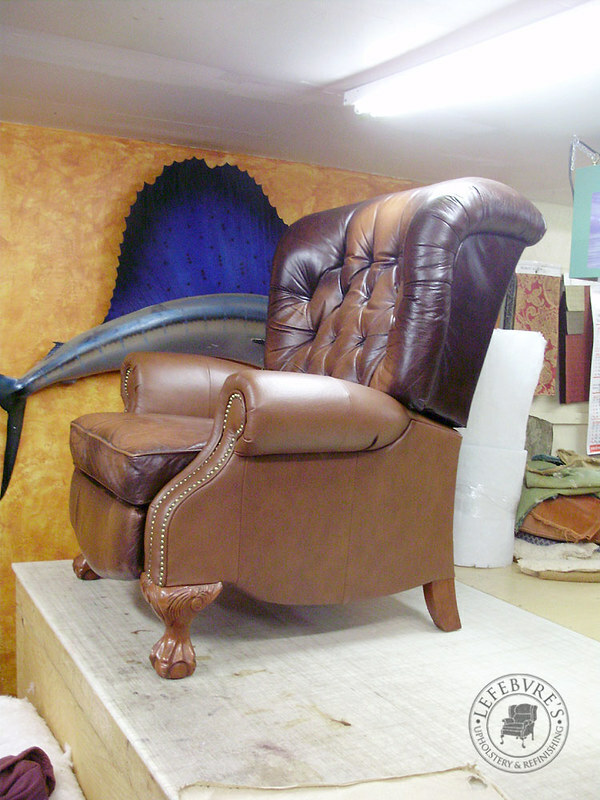 The leather had worn from a dark brown to a light brown, so the client chose a light brown for the repairs. 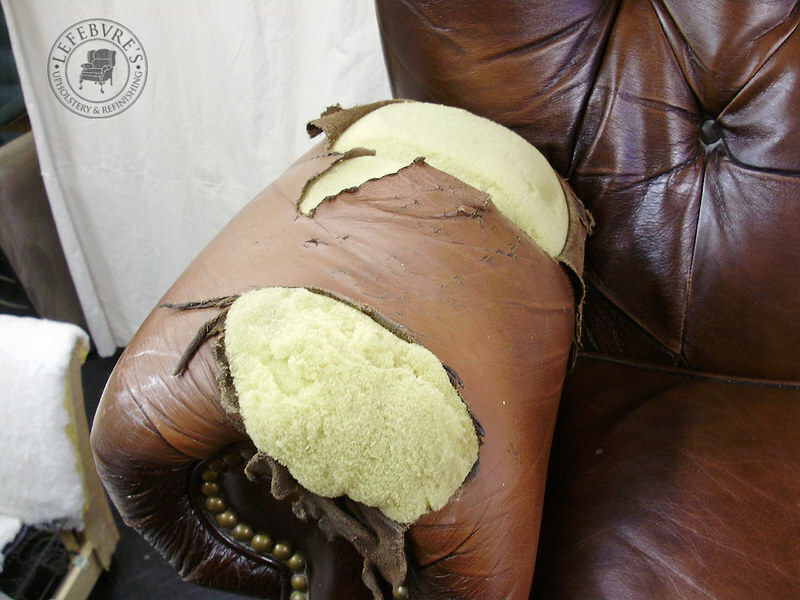 We redid both arms and sides.